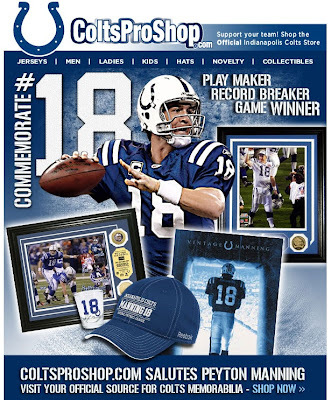 We don’t doubt the fanbase in Indianapolis is divided over the release of Peyton Manning who led their beloved Colts to their only Super Bowl victory since the Irsay family snuck out of Baltimore in the middle of the night over 25 years ago. 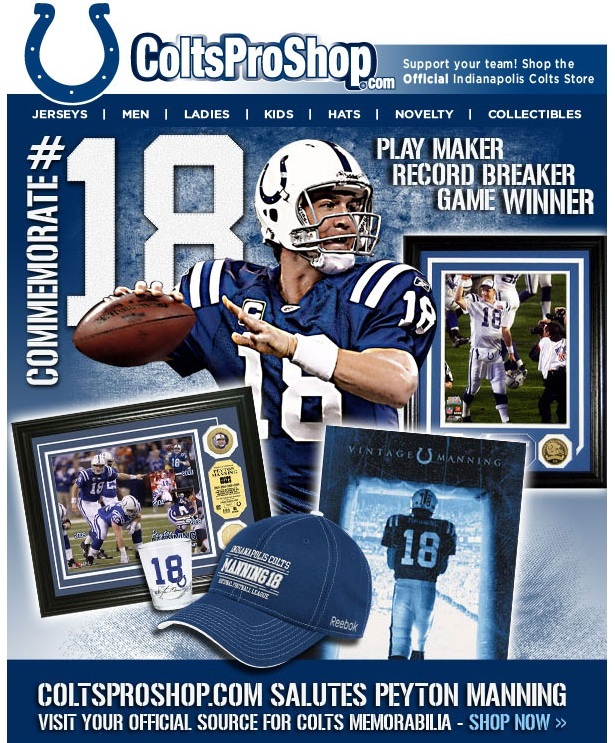 That said, the official Colts Pro Shop decided to capitalize on the Mannings departure by offering up some Manning merchandise and emailing it to all of their customers – T.A.H. 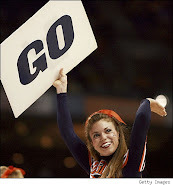 being one of them as Toly Hansbrough played multiple seasons for the FYF Colts. 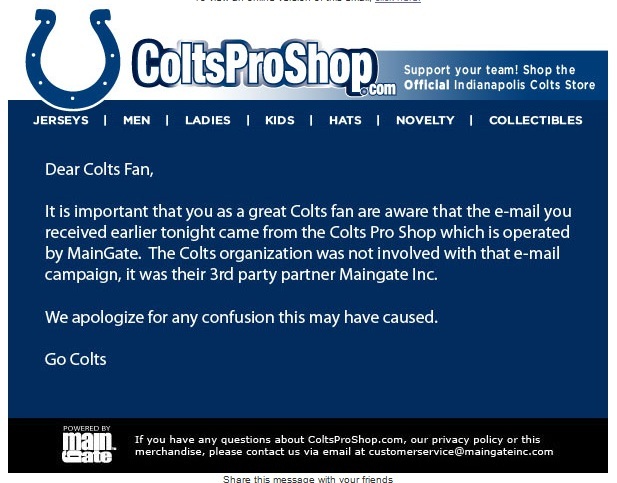 The next day, the loyal Colts’ merchandise consumers received an email from the Colts Pro Shop saying the Cotls hadn’t sent the Colt’s official Colts Pro Shop email and that the Colts Pro Shop email actually came from an official strategic partner of the Colts Pro Shop (which is, without argument, the official merchandiser of the Colts) and not by the Indianapolis Colts proper.